Have you ever had the feeling that you cannot find any books that you feel like reading anymore? It was because of this very feeling that I started reading in topics/series. This allowed me to concentrate on one topic/series at time but in numerous books, both fiction and non fiction, and read through them carefully. I believe that books connect to one another, just as all human stories are connected. Recently my focus has been history, and politics. I know it is a big topic, but I selected what I was interested in and started to read. 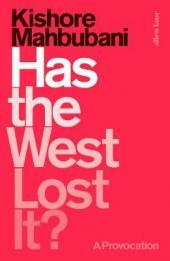 First, I read a non fiction book, Has the west lost it? By Kishore Mahbubani. The author was an expert on Asia and world affairs and well regarded in Singapore. His book has different views regarding the western culture and its influence to Asia and Africa, the Rest, as author differential it from the West. While he highly commends the West he was also critical about it, because he felt the West was biased in recent decades and the West couldn’t see the changes beyond it. According to the author before 1820, the world largest economies were always those of China and India. Then Europe took over, followed by America. Now after analysing pages of statistics, the author asserted that ‘China and India have regained their natural share as those of America and Europe have begun to shrink.’ Will it? I think any difference of opinions, no matter how uncomfortable, are worth our attention. 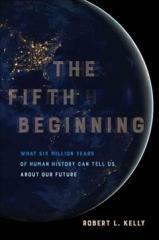 The fifth beginnings: what six million years of human history can tell us about our future was written by Robert L Kelly, a Professor of Anthropology at the University of Wyoming. While his main job is to dig around the earth finding ancient human artefacts, his writing was predicting what directions our future is heading, based on the millions of years of historical discoveries. It is very good for us to learn from our past mistakes, errors and tragedies. Some stories about archaeological discoveries are very interesting. Julian Baggini, a British philosopher, whose recent book caught my attention. 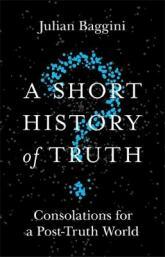 A short history of truth: consolations for a post-Truth world analysed 10 types of truths. The author broadened the definition to truths by going through eternal truths, authoritative truths, esoteric truths, reasoned truths, empirical truths, creative truths, relative truths, powerful truths, moral truths and holistic truths. Giving each a definition, the author was able to demonstrate how we can focus not only on what truths people claim but know how to look at these truths. It’s a very thin book and I did expect more. Ken Krimstein is a NY Time cartoonist and a lecturer. 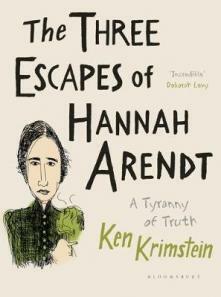 His latest book is The three escapes of Hannah Arendt: a tyranny of truth, a graphic biography. It is a very well written biography of Hannah Arendt, the Jewish political philosopher. Krimstein drew our attention, not only to Arendt’s life from three escapes from Nazi Germany, Vichy Paris and stateless for a few years, until she became an American philosopher, he told some very good stories about her relationships, political and philosophical connections with some great thinkers in this horrific period, such as Heidegger, Walter Benjamin, etc.. Arendt’s life experience formed her political thought and the philosophy theory in her books such as The origins of totalitarianism, The human condition, and her theory of The Banality of evil which was controversial at the time. ‘She examined the question of whether evil is radical or simply a function of thoughtlessness, a tendency of ordinary people to obey orders and conform to mass opinion without a critical evaluation of the consequences of their actions’ (Wikipedia). Personally, ‘the Banality of evil’ reminds me of the Cultural Revolution in 1960s in China. When an avalanche happens, no single snowflake is innocent. If everyone claims to be a victim of the system and just follow the orders like a machine, then we will never learn from the past. When the West has entered alternative truth period, we just need to remind ourselves, everything happens for a reason, past and present. When technology seems to be accelerating as never before, as human beings, we very often, suffer from collective amnesia. Machines might help us to remember certain things, but they will not make us better if we don’t want to remember what has happened in the past.